tl;dr: In the third installment of a four-part series on Chicago, we take a look at some of the angels and VCs that are funding Chicago’s future. Abner, who’d go on to become a federal judge, law professor, and recipient of the Presidential Medal of Freedom, cited this moment of rejection as the moment he came to love politics. Chicago politics, much like startup investing, is a game of relationships played with money. But while the Chicago political machine has been grinding along for a long, long time, its startup investing environment is just starting to come into its own. Conversely, Silicon Valley is, quite recently, beginning to test the political waters. Say what you want about Chicago’s political machine, it’s effective. Maybe tech companies can learn a thing or two from Chicago. This is the third installment of a four-part series about Chicago’s tech and innovation ecosystem. We’ve looked at some general history and identified the institutions that play a critical role in incubating and accelerating the future here. But who will finance that future? 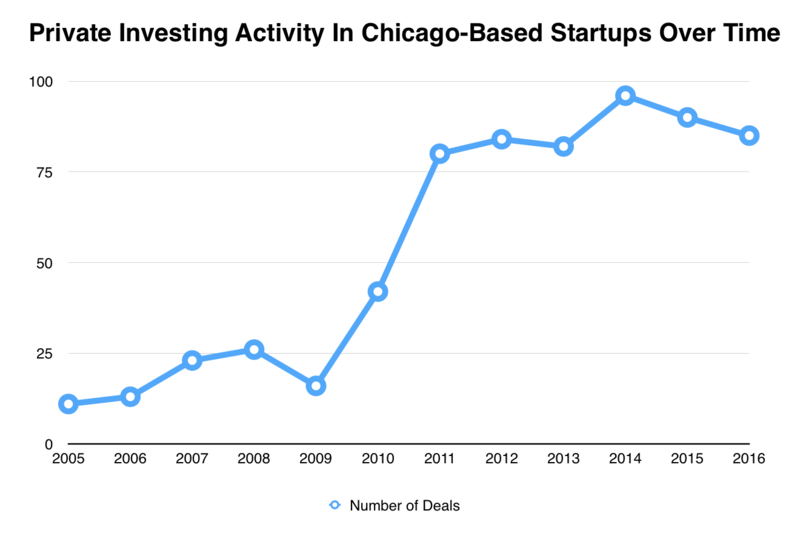 Let’s take a look at the history and current state of startup investing in The Windy City. 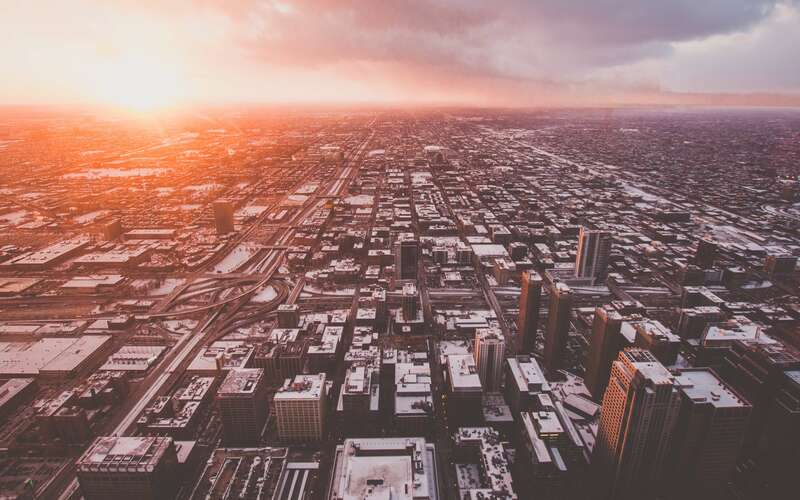 Although venture capital and angel investing are relatively new phenomena, springing up just in the last half-century, it took a surprisingly long time for a modern startup investment community to emerge in Chicago. Up until the 1990s, one would have been hard-pressed to find a lot of startup investors in Chicago. There was investment in new technology companies, but it didn’t look anything like what we’d expect to see today. These early deals took on the general shape of those struck with businesses of a more conventional sort. Startups, after all, are small businesses, right? “Nobody knew how to structure a deal [with a startup company] and most of those early deals failed,” said Jeffrey Carter. Carter is one of the founders of Hyde Park Angels, the Midwest’s largest network of angel investors. He has since stepped down from HPA and is now a general partner in West Loop Ventures, a VC fund that specializes in what he characterizes as “down and dirty, Chicago-style fintech,” the nitty-gritty back-end technologies and services that make the financial system operate. Carter, like several other Chicago venture investors, came up in the trading pits at the Chicago Mercantile Exchange and other major exchanges located in the city. Back then, before there was a formalized VC or angel investment community to speak of, entrepreneurs would come by the trading pits and make their pitch to a gathering of traders. Although some entrepreneurs would get the funding they sought, it is important to remember it typically came on harsh terms. To translate: An entrepreneur seeking $500,000 would come to HPA and make their pitch. Angel investors would declare what share of the $500,000 round they wanted to put up, and then they’d share in the legal and accounting costs associated with making the investment. “Of course, the model has changed over time, and gotten more streamlined,” said Carter. Regardless, HPA was the first real attempt to organize and unify wealthy individuals from Chicago seeking exposure to startups around a set of best practices for making investments in early-stage companies. Today, there are multiple networks of angel investors currently operating in Chicago, including Irish Angels, which has a network of over 140 investors that invest in startups with a connection to Notre Dame University. Chicago Angels and Wildcat Angels follow a similar model to Irish Angels, but they serve the University of Chicago and Northwestern University communities, respectively. Cornerstone Angels is another, with a particular focus on clean technology, manufacturing, and medical device startups from around the midwest. Of course, you don’t have to be part of a network to make angel investments in Chicago. But in a city with a strong relationship-driven business culture, knowing the right people helps. “Back in the late 90’s, I and several others, but not many, correctly identified that there was a relative scarcity of equity-oriented, technology-oriented risk-based capital here in Chicago. That’s just the reality. There were a couple of family offices, most notably the Pritzkers, but there really weren’t many [professionalized VC firms]. There were maybe six or eight of them,” said Jim Dugan, the co-founder and managing partner of OCA Ventures. If Chicago VC in the early days had a particular investing style, it was what Dugan characterized as a hybrid of “East Coast, private equity mentality” applied to early-stage structures common on the West Coast. Angel Jeffrey Carter had a slightly more colorful take on the subject: “Back in the day, you’d see some investors make loans [to startups] at twelve percent interest,” he recalled. He also mentioned that some startups’ capitalization tables (the record of who owns how much of the company) would be so mangled and confusing that, had the entrepreneur sought funding outside Chicago, even investors more accustomed to the financial needs of startup companies would turn them away. These onerous terms offered by investors may have scared a fair amount of talent away from the midwest in the 1990s. It’s easy to forget that, just 130 miles outside Chicago, is the University of Illinois’s main campus. “Remember, Marc Andreessen was building Mosaic at U of I, and Max Levchin,” probably best known as the founder of PayPal, “was down there too.” Carter relayed the story of how Levchin came to Chicago to raise money for his first startup, he was spooked by the terms put forth by the independent investors he spoke with. “He probably left for the Valley because we [Chicago investors] couldn’t structure a deal,” said Carter. Imagine how different the startup world might look if the PayPal mafia had taken root in Chicago, instead of Silicon Valley. Among some on the coasts, there is still a perception that Chicago VCs invest on radically different terms than their coastal counterparts. In some ways, this is true. The rounds tend to be smaller (as we’ll show later) and the valuations tend to be lower. Apart from these facts, however, Chicago VCs tend to use the same investment structures as VCs in Silicon Valley, New York, Boston and elsewhere. In any ecosystem, competition breeds conformity. As Chicago VCs found a foothold, they adopted the best practices of established firms on the coast in order to compete for attention from local entrepreneurs. In Chicago, contemporary Valley-inspired VC firms only got their start in the city fifteen years ago and Chicago’s angel investment ecosystem began to coalesce in 2007. Almost everyone we spoke with for this article, both on the record and off, used the term “robust” when describing the investment environment as it stands today. When did the investing community in Chicago finally get some traction? Using Mattermark data from the past decade, we plotted the total number of rounds raised by startups from the Chicago metropolitan region. Chicago saw a dramatic rise in dealmaking activity between 2009 and 2011. Why the spike? There are at least two factors are at work here. The nationwide boom in early-stage investing that started around 2008 was particularly evident in Chicago. In 2010, there a handful of Seed rounds raised by Chicago startups in our dataset. That would almost quadruple by 2012. Similarly, Series A investing took off as well around this time. In 2008, there were 10 recorded Series A rounds for startups based in the Chicago metropolitan region. In 2009, there were 4. By 2014, there were 25 Chicago startups that raised Series A rounds. 2016 is the high water mark to beat at this point. So far, there have been 29 Series A deals closed here this year. If early stage investing has seen such a huge increase, this begs a follow-on question: who’s behind it? As Jim Dugan alluded to earlier, the Pritzker family, and J.B. Pritzker in particular, have been long-term investors in Chicago’s innovation ecosystem. But it was likely Eric Lefkofsky and Brad Keywell, a duo of serial entrepreneurs behind Chicago companies like Echo Global Logistics and Groupon, who helped to catalyze the boom in investment activity through Lightbank. Formally established in 2010, the venture fund was, for a time, one of the most active early-stage investors in the city. Chicago’s investment scene remains different from others, however, even as deal volume has increased. Most notably, startups here raise less money per round. Why? It might be that Chicago’s relatively modest cost of living, compared to other major markets, makes it less expensive to start and grow a company. Average salaries up and down the talent stack are lower, as is the cost of commercial real estate. Another reason could arise from the constraints Chicago investors face. Chicago-based venture firms have less money under management than, say, VC funds in the Bay Area or New York City. Having a smaller pool of capital to invest means that investors can either write fewer checks, or make smaller investments, but sometimes it’s both. A third possibility is that the types of businesses that Chicago entrepreneurs tend to start cost less to scale. B2B businesses in Chicago often spend less on marketing and customer acquisition, and they tend to start earning revenue sooner than, say, an app or website that needs to grow before it can start earning advertising revenue. Chicago is also home to a surprising number of consumer and B2B marketplace businesses, which, yes, take some capital to establish liquidity on both sides of the market, but as soon as transactions start happening, the fees start to roll in. It is this focus on revenue and underlying fundamentals that might be the greatest strength of the startup ecosystem in Chicago. “If you’re going to compete with Silicon Valley, you’re going to lose,” said Jeff Carter of HPA and West Loop Ventures. What, then, are Chicago investors’ competitive advantages? Carter suggests that the strength of Chicago VCs is their deep expertise with sales and tuning the revenue engine. “In the Valley, there’s a lot of focus on the engineering behind the product, whereas, in general, we’re focused on the sales process, trying to figure out where the revenue is going to come from,” Carter told Mattermark. 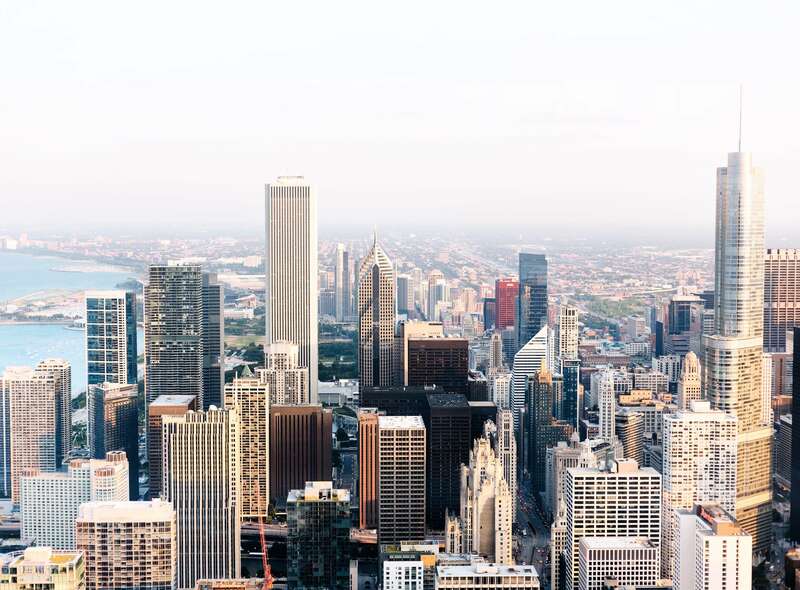 Rather than the generalist investing strategies of the past, Chicago investors are positioning themselves and their firms as domain experts and as conduits into markets they know well, as Dugan suggests. Chicago, ever a city in the middle, is quite experienced at handling two distinct sources of gravity at the very same time. Although it’s tempting to think that Chicago is being pulled one way or the other by the East and West, it is, in many ways, a combination of the two. Many investors here have an eye toward big businesses and the market opportunities they present, while others remain focused on funding the scrappy, innovative companies that promise to disrupt the very corporations others try to serve. It is at once trying to embrace the culture of openness that makes the West Coast feel like the right place to start a startup, yet acknowledges that it sometimes takes some back-room dealing to get stuff done. These, like other juxtaposing forces, present a challenge, but also an opportunity, for Chicago investors to continue building a culture and portfolio that is unique to this place. Jason D. Rowley is an independent researcher based in Chicago. His weekly(ish) newsletter on tech, venture capital, and an assortment of other topics is worth reading.